Mass Communication Department organized a seminar titled: " Prospects of New Media … UAE is a Model", to emphasize the importance of keeping pace with the latest developments in media in light of the rapid technological changes. 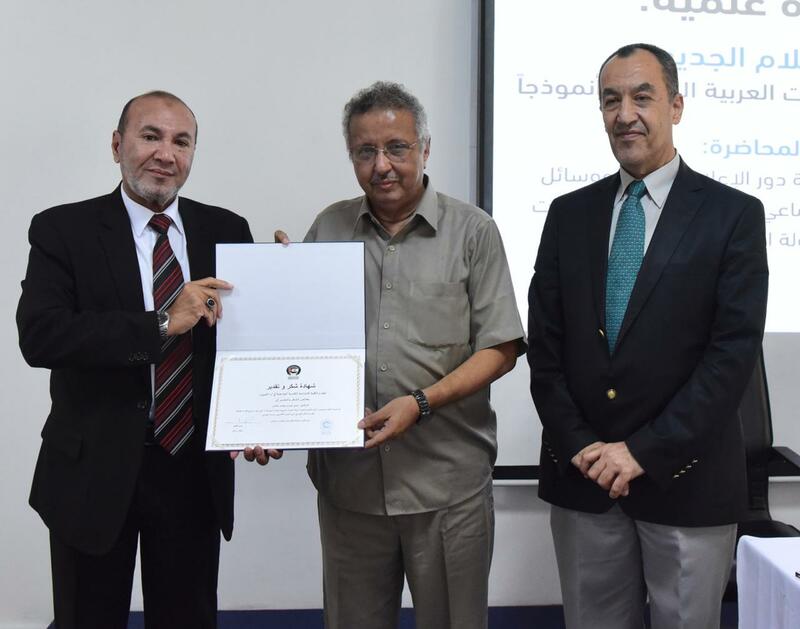 The seminar ,which was presented by Dr. Omar Abdel Aziz, reflected the department’s ongoing efforts to build and prepare national cadres specialized in new media, and create the future plans needed for the development process of media technologies. Dr. Omar Abdul Aziz said, the key of success in UAE’S media experience, at the Arab and international levels, is due to the wise leadership's keenness to explore the future, keep pace with new developments witnessed by media sector, as a result of the great openness to other global experiences, and benefit from new technology and highly sophisticated means of communication. Dr. Abdul Aziz discussed media landscape, and the changes of new media concepts, stressing that media students shall be well prepared for this stage, armed with knowledge and other skills enable them to use technology for media creativity, and understand new media language. The seminar was attended by students of media department, faculty members, and some officials interested in the topic.